Schools and colleges often organise educational trips out for their students, often closely linked to the topics they are being studied in the class room. However, informative and stimulating expeditions can also be enjoyed at the weekends. Why not treat your child to an educational day out? Trips need not be expensive and there are even plenty of free options. A fun and unusual day out will enable your child to fuse learning with fun; a sure fire way to unlock your child's academic potential. If you live near the woods, pull on your wellies and take a walk through the trees. Such green environments offer the ultimate opportunity for your child to explore nature. Encourage them to test themselves on the names of trees and plants. Ask them to name and count all the different species they can see. If there is a small stream, set about following it to its source. In this way, Science, Geography and environmental issues can all be touched upon in a relaxed, revitalising environment. Your child might like to collect a few interesting shaped leaves to take home as a reminder of the day; perhaps even to stick on a piece of work or add to a journal. If there are no woods near you, similar experiences can be enjoyed at the local pond, in a garden or even at the seaside. Bring History alive for your child and pay a visit to a fort, a castle or an old stately home. Before you go, you and your child could take a little time to research how people lived at the time, whether it be the Victorian age, the Renaissance or the Middle Ages. You could even look into the roles of people of different classes and occupations; from servants, to lords, to soldiers. Many such historical buildings have special open days during the summer months where children can meet re-enactors dressed in traditional costumes and learn about the day to day existences of people who lived in centuries gone by. Many galleries and museums are becoming increasingly child-friendly. Eye-catching displays and interactive games are constantly being dreamt up and introduced to enhance the experiences of the young. In addition, many galleries and museums offer free entry. 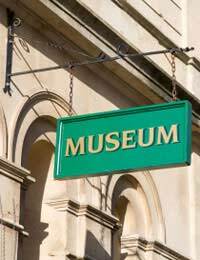 Research the museum or gallery before you go. Take a look at their website to see which resources they have in place specifically aimed at children. Take advantage of guided tours, workshops, game sessions and craft days. If the museum or gallery has designed a quiz or treasure hunt for students to complete as they move around the exhibits, be sure to pick up the relevant pieces of paper in the foyer. Educational outings are a fantastic way to encourage your child to become an independent learner and to 'think outside the box'. If they fancy taking it even further, they might like to produce a creative piece of work at the end of the day, inspired by what they have seen, heard, learnt and experienced. They could decorate this with leaflets or small objects picked up that day. If your child is particularly keen, they might want to put together a 'Days Out' scrap book so that all their memories can be kept in one place. Educational days our really can be fun for all the family and planning your outings in advance gives everyone something to look forward to.